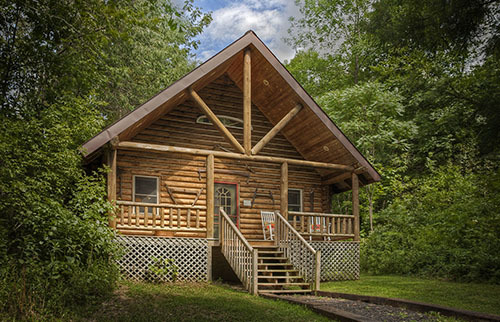 When you are purchasing a log home, what is fixable and what is alarming? Here are four warning signs to look for during your log home inspection checklist. 1. Insects - Termites are the first thing buyers ask about. Log homes do not necessarily attract termites; those nasty critters love rotten and damp wood, which should not describe a home you are buying. But yes, if the logs touch the ground, you could have a problem. 2. Rot - This is usually caused by constant exposure to moisture. For instance, log homes more than 20 years old tended to be built with shallow overhangs. As a result, the lowest courses of logs get rained on, and even the corners are often dripped upon. These are the most likely places you will find rot. 3. Stain - Water should bead up if splashed on to a good coat of stain. But if the coating is shot, you can usually tell by looking at it. Is the stain splotchy? Can you see wood wearing through in places? Is it plain-old ratty looking? 4. Holes - Carpenter bees love logs. They love exposed wood even more. They don’t like stain, though, so a well-treated log home can be resistant. However, exposed ends seem to be the first surface they attack, as well as fascia boards (along the roof edges) and wooden soffits (underneath the roof overhang). Look for perfect half-inch round holes. An occasional hole is inevitable, but if you spot a number of holes, you might have a problem; the bees leave long tunnels inside the wood. Carpenter bees are very difficult to treat, especially if the holes are unreachable. If the log or fascia looks like something took a bite out of it (in other words, a big, irregular chunk is missing), this is probably woodpecker damage.